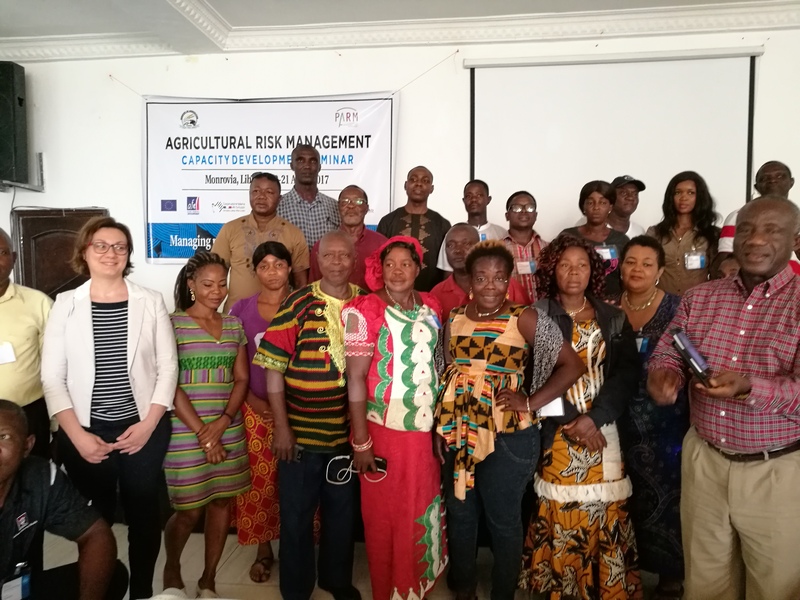 On 20-21 April 2017, PARM successfully delivered the first Capacity Development (CD1) seminar on Agricultural Risk Management (ARM) in Liberia, targeting farmers, farmers' organizations, extension services staff and other Government officials. On 20-21 April 2017, PARM successfully delivered the Capacity Development (CD1) seminar on Agricultural Risk Management (ARM) in Liberia, targeting farmers, farmers’ organizations, extension services staff and other Government officials. Dr Moses Zinnah, Minister of Agriculture, opened the seminar acknowledging the importance of the PARM process in Liberia. The main purpose of the seminar held in Monrovia was to create general capacities and awareness on ARM among the participants and beyond. The mission aimed as well to prepare the upcoming RAS workshop, in June 2017, by meeting with national and international stakeholders. All the development partners have expressed a keen interest about PARM activities in Liberia, and the willingness to get more information about the result of the RAS study during the next workshop.